Carla Creates: A Fathers Day Layout! A 'Dad' inspired project for you today! 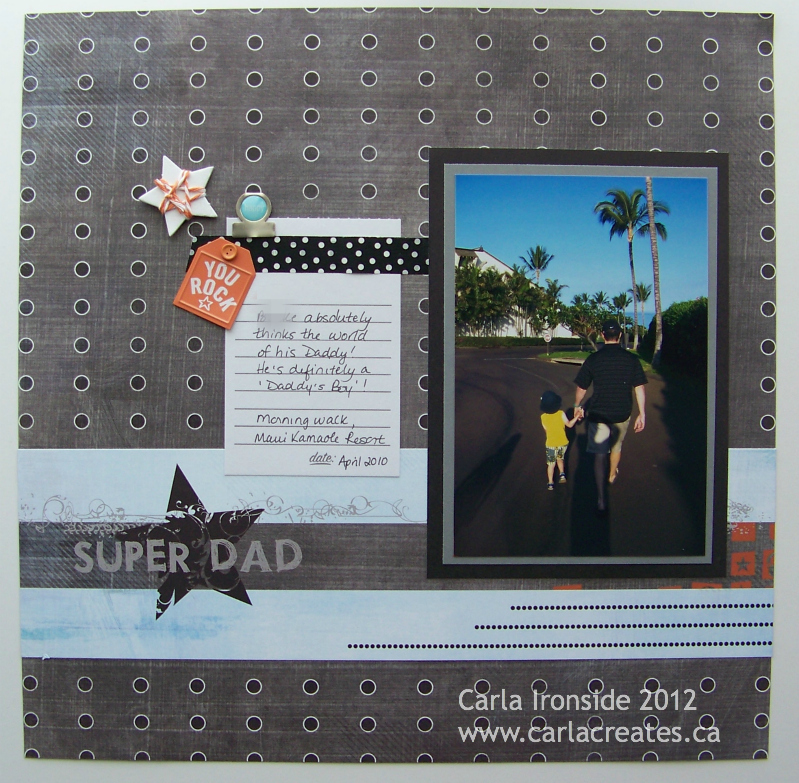 I created this layout using the Fancy Pants line "Like Father Like Son" which I received in a prize package recently. Was excited to play with these great masculine papers. Paper - Fancy Pants "Like Father Like Son"
Washi Tape & Journal Spot - "SMASH"
Super cool LO! So glad you joined us at UIT this week! This is a great layout, Carla - I like the gray dot background - very manly! Don't you just love photos of people walking away from you? I don't know what it is about them, but they are one of my favorites . . . Awesome guy page .. been seeing a lot of gray and charcoal lately and I really like it! Such a great take on the sketch and I love that sweet photo!Thanks for playing along with us at SOUS!! it is perfect for this! I'm glad you were able to share...love that photo as well! Carla, this is a fantastic guy layout!!! The colors are perfect!! Thanks for joining us over at Stuck On U Sketches!! Hugs! !